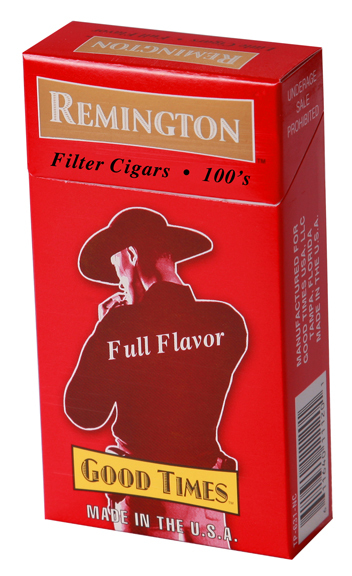 One Carton Remington Filtered Cigars Full Flavor 100 Box. 200 filtered cigars packed 20 Cigars to a Box-Pack, that adds to your enjoyable smoking experience. Remington's are good little cigars. They have good flavor and a good draw. Made in the USA.